Bay View Resort’s oceanfront poolscape has a little something for the whole family, whether you prefer to cool off in our lazy river, indoor pool and relaxing spas or frolic about in our kiddie pool and outdoor splash deck. We provide smooth floating and aquamarine waters at the perfect temperature year round. Grab an inner tube and float smoothly along the tranquil current in our lazy river. It’s easy! It’s fun! No effort necessary. Too hot or too cold does not mean a thing at Bay View Resort. 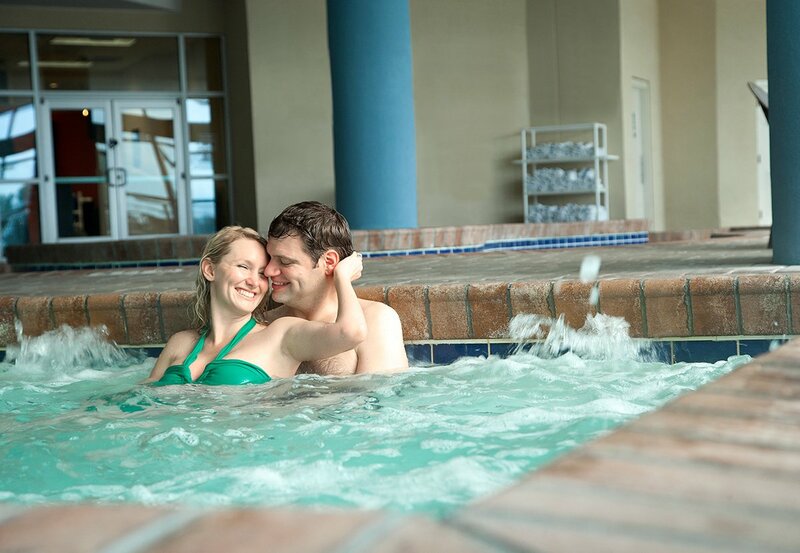 Rain or shine, take advantage of our indoor pool’s perfect temperature year-round! Our oceanfront pool deck is sprinkled with the sounds of laughter and delight as kids enjoy the excitement of our state of the art motion-sensor splash deck. Even the little ones have their very own playground. Let them splash about in our mushroom waterfall shallows. No matter the weather, nothing says relaxation like the steam and bubbles of a warm whirlpool. It does not get any better than this.